Set in the early 1980s on an Indian summer Sunday, three sisters Helen, Kate and Ann gather at the house of their mother to await the passing of their father. During the afternoon the three talk, sometimes bickering, to each other and to their mother, gradually revealing the complexities of their lives. Ann is flippant, carefree and heavily pregnant and lives in a squat, Kate seeks endlessly to 'find herself' whilst Helen is childless, from a failed marriage and now dishes out soup and self respect to the down and outs of Wandsworth. Throughout, Fox, the observer's comments give depth and tone to the atmosphere. This is a play which requires and more than repays a high degree of concentration from all involved in viewing and performing. So, for what promises to be a thought provoking evening, why not book your tickets now. 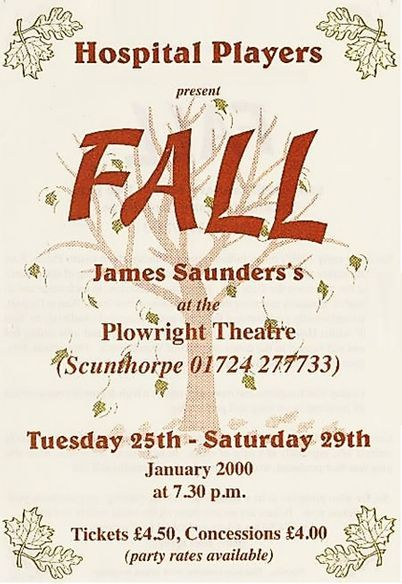 As we moved into the new Millennium, we decided to ask some of our longer-standing members to nominate their favourite plays which The Hospital Players have performed. 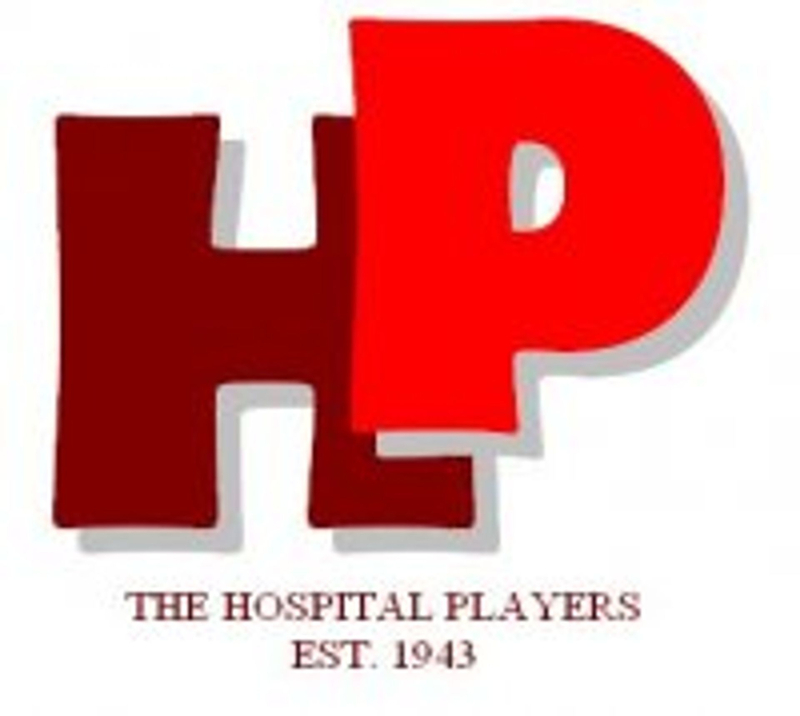 A very happy memory of The Hospital Players' 100th production, which had so much content, and went down so well. Such a different play (when we actually cooked a meal onstage) and my part, Rosa, was a challenge and a pleasure to play. With a professional director, choreographer and musical director, it stretched our society at a time when we were possibly at our strongest. I played the delightfully dotty Mrs. Puffin, a role made for me. I remember a young John Preston having to interrogate me - I could never remember all my lines and waffled through about six pages of script, John looking more horrified every night, but we always got through. This was the play we hosted for Drama Federation to celebrate the theatre's Silver Jubilee. It had everything: drama, music, dancing, and so many people happily involved. A play should be fun to rehearse, as well as perform. "Canterbury Tales," with such a large cast and so many things to work on, was a huge challenge but so much fun to do. I was 35 when I played Uncle Luke, a 75 year old retired sea captain. I had all my teeth out before the play, and the new ones couldn't be fitted until after it - what devotion to the cause! A wonderfully funny play by Ray Cooney which we did so well. It's the only play in which I've 'corpsed' several times on stage at the sheer daftness of it. I could have done this play for several weeks more. In this play we came as near to getting it perfect as we have ever done. My own role was challenging, frightening and exciting. And the audiences loved it. This was a powerful and moving drama which I directed with a big cast. We produced it without outside assistance. It was also memorable because we used so many children from our own families in important parts. This play had everything - a large cast, music, drama, comedy, a special occasion, and lots of audience appreciation. This was a play written specifically for laughs, which worked. I had a dream part, the rest of the cast enjoyed it and did well, and we attracted big audiences who all loved it. This was a costume drama with nicely drawn characters and interesting relationships between them. There was the challenge of the psychological drama, and the manners and social niceties of the time. And we had a lovely cast. The challenge for me, playing the ghost, was that I could only interact with one other person on stage. The fun was having the freedom this provided, and being able to have all the mood swings of the character. The first play I directed. The whole group worked together both backstage and onstage to create a fantastic set and truly memorable characters. I love comedy; the audience's laughter is instant reward. In Maisie the maid I had a wonderful character part to build on. So there you have it, the Oscar goes to “Canterbury Tales” by a couple of lengths from “Run for Your Wife.” The decisions were difficult - so many people wanted two choices. Joan Brown was allowed two as she is our President. The wide range of plays in the list, from comedies to costume dramas, from classic to silly little plays, demonstrates that we will tackle anything as long as we think it will be entertaining. This wide range of plays makes being a member of The Hospital Players so rewarding. One strange omission is anything by Alan Ayckbourn, but having talked to many members he seems to be our favourite author in general. Perhaps it’s because we have done so many of his plays, and enjoyed them all, that we can’t pull out one as special.